THIS BOOK IS A JOURNEY not of the outer world, but of an inner world even more amazing and rewarding than you can now imagine. It is here, just waiting for you to open the door or turn the page. Think of this book as your loving guide to the unexplored world of you. It is not the only book that can guide you on this very special inner journey. There have been many others: A Course In Miracles, Eckhart Tolle’s The Power of Now, Thich Nhat Hanh’s The Miracle Of Mindfulness, Advaita Master Mooji’s White Fire, to name just a few recent ones. I highly recommend each one and the others you’ll find in the Resources section of my website: https://n-lightenment.com/resources. But there is a very special reason you picked up this particular book at this particular time. This is a book about love. It will improve your relationships – miraculously so if you honestly follow its suggestions. If you’re not in a relationship, it will teach you the secret of irresistible magnetic attraction. And even more importantly, this book will transform your relationship with yourself. Few people actually love themselves, and this is at the center of all relationship problems. 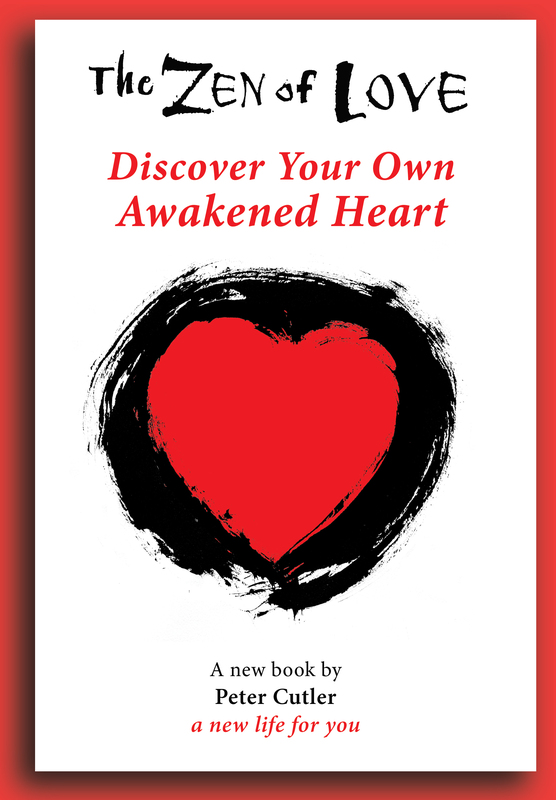 This book will show you, once and for all, how to truly love yourself. There is enormous value in improving, repairing, and even saving relationships, finding a fulfilling relationship, and learning how to truly love yourself. But that’s just the start. And this is where this book about love is radically different from most. If you’re willing and ready to take this journey to the end of the ride, if you’re willing to follow the call of love to its natural and inevitable conclusion, this book will open your eyes, heart and mind to the Truth of life as it really is. This book will awaken you. I understand that’s a lot to take in. How can a book do what possibly years of spiritual practices, traditions and teachers have not? My answer is that these are new times, this is a new book, and this is a new you. Give it a try and see for yourself. Read it with an open mind and open heart and I believe you will find what your heart is seeking. I’ve been a spiritual seeker for much of my life. Although my childhood was challenging, even before I was ten years old, when I was alone I often experienced being filled with a powerful light and love I did not understand. I called it the “presence of God.” I began the study of yoga and meditation when I was only sixteen. At the age of twenty-two, I experienced a profound awakening, which I describe in detail in this book. After only ten days of this extraordinary bliss I fell back into the common dream state most of us consider our life. The brief taste of this profound state of consciousness, and its rapid ending, brought a new urgency to my spiritual search in the following years. I became a student of the Vietnamese Buddhist monk Thich Nhat Hanh and was ordained into his Order of Interbeing with the Dharma name True Sangha Virtue. I also studied with Korean Zen Master Seung Sahn, meditation teacher Jack Kornfield, Mindfulness teacher Jon Kabbot-Zinn, Advaita Master Mooji, Course In Miracles teachers David Hoffmeister and Marianne Williamson, and many others. I read every spiritual book I could get my hands on and became a teacher of meditation. And all this time I lived an ordinary life with the comings and goings of intimate relationships, two marriages, raising a family of four children, overcoming cancer, and creating and building a very demanding and successful career as a commercial artist, photographer and film director. I met the love of my life many times, but something always got in the way. At the time I didn’t realize it was me. I achieved the height of success in my career, receiving over one hundred international awards from film festivals, only to find that all of this didn’t bring me the elusive happiness I sought. I didn’t know who I truly was, so how could anything truly fulfill me? As I began to awaken again, my life dramatically changed. In 2010, I moved from Boston, Massachusetts to Sedona, Arizona, founded and ran a spiritual retreat center called the Sacred Circle, and became a spiritual teacher and healer. But what was happening on the inside was far more important and amazing. No longer did I seek fulfillment outside. I realized I was already one hundred percent complete – and always had been. The happiness and peace I sought outside was already in here, and it was in here no matter what was happening around me. The love I had always sought outside had never been separate from me, nor had anything or anyone else. It became crystal clear that my self, my life and the world were nothing like I had always believed them to be. And this was such a relief. Struggle was over. Freedom was here. I just hadn’t realized it before. I had been living in a dream. But I still had something very important to learn. Actually learning never ends, but this particular learning relates very much to this book, and to you. During a seven-month silent retreat in 2014, much to my surprise, I realized that my awakening had not come only from those deep spiritual practices, but even more so from the very ordinary experiences of my day-to-day life that I had once perceived as obstacles. Even more specifically, my awakening had come from love. And that was the birth of this book. My awakening had come from each beautiful, soul-stirring moment of love, and even more from each messy, painful, and even traumatic moment. This is wonderful news for you. Each moment from the very day I was born, life had been teaching me to wake up. And this is just as true for you. For quite some time I didn’t pay attention. And then – suddenly – I did. If I told you that to awaken you must climb to the top of a Himalayan mountain and find a certain wise man living in a cave, or leave your family and spend the next ten years in a monastery, or even do many of the more extreme spiritual practices I have done, would that really be practical? The good news is that I’m telling you that right now – in the very middle of your messy day-to-day life, with all the challenging relationships, demands and obligations – that these very things are not obstacles to happiness and spiritual awakening, but instead are the very key to it. This is what I discovered. This is how this book was born. And this is what this book will help you discover for yourself. 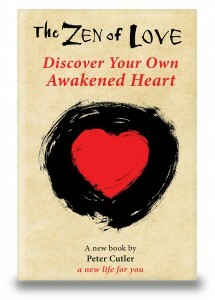 If you read this book with an open heart and open mind, it will bring vibrant new life to your relationships. It will connect you to your heart’s true desire. It will fill your heart with a love you never believed was possible. And this book will awaken you to the miracle of life as it truly is. May this book be the next page in your exciting new life. Let’s turn the page now and begin.